Preview Thursday’s IMPACT WRESTLING broadcast on SpikeTV at 8/7c as the road to the June “Slammiversary” event continues! 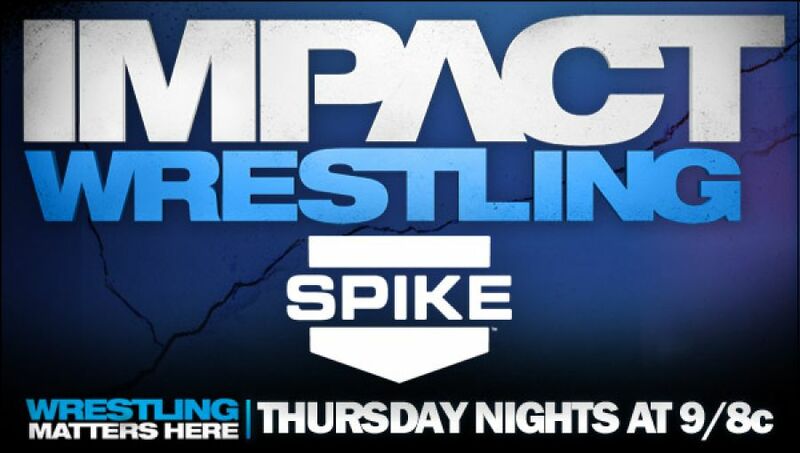 Reminder: Beginning May 30, IMPACT moves back to its old time at 9/8c on SpikeTV! Thursdays at 8/7C until then! – Has a TNA Original finally turned his back on the company and the fans? The Aces and Eights have announced that on Thursday’s IMPACT from Tampa, they will hold a “Patching In” ceremony to officially welcome AJ Styles to the group! – How will TNA General Manager Hulk Hogan react to the news that AJ is joining the Aces? Hogan will be on IMPACT in Tampa to address the situation! -In a huge match Kurt Angle will take on Mr. Anderson from Aces and 8s renewing their rivalry. – The final countdown is on to Sting vs. Bully Ray for the World Heavyweight Championship at Slammiversary! Both champion and challenger will be in attendance on Thursday’s IMPACT – will Bully Ray and The Aces attempt to eliminate Sting before their title match? –James Storm announced last week on IMPACT that he will be in the Tag Team Title Match at Slammiversary. Who will “The Cowboy” select to be his partner? Find out this Thursday on Impact! – The TNA Knockouts championship will be on the line on Thursday’s huge broadcast as Velvet Sky will defend the gold against her friend (and former titleholder) Mickie James! – The mysterious masked X-Division superstar SUICIDE makes his return IMPACT WRESTLING on Thursday as well!